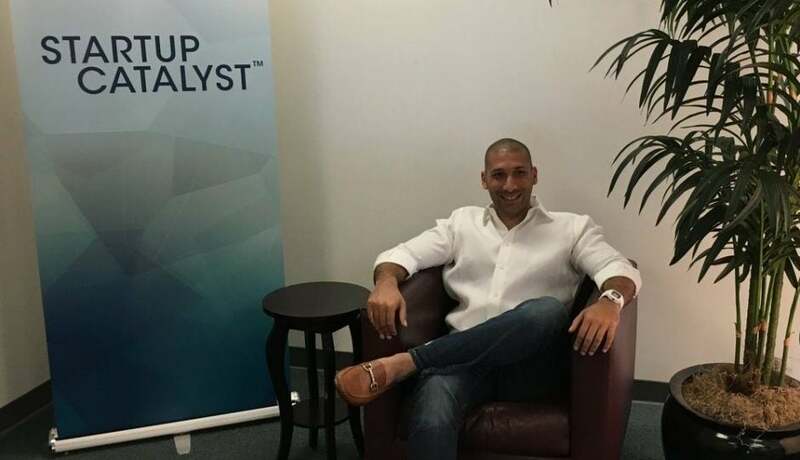 Tarik Sultan is the Founder and Managing Partner of Sultan Ventures, an investment firm, and Founder and Managing Partner of XLR8UH, the University of Hawaii (UH) venture accelerator program is an active leader in the Hawaiian startup community and focused on talent development. This time for the #StartupsEverywhere, series, he talks with me about his investment fund, promoting women innovators, developing the talent pool and growing the startup community. My “day jobs” are as Founder and Managing Partner of Sultan Ventures, an investment firm, and Founder and Managing Partner of XLR8UH, the University of Hawaii (UH) venture accelerator program. However, like most ecosystem builders, I also wear a number of different hats in the community, including Board Director and Treasurer of the Hawaii Venture Capital Association, Board Member of the Shidler College of Business Alumni Association, Advisory Board Member of the Pacific Asian Center for Entrepreneurship at the Shidler College of Business at UH and Board Member of the Hawaii Pacific Export Council. Talk about your work with Sultan Ventures? Sultan Ventures brands itself as a Startup Catalyst™, as it is involved in all things startup in Hawaii. This means we work with founders, investors, as well as state and private entities to build amazing talent and companies. We manage roughly $10 million of funding, largely focused on UH-affiliated innovations through the UPSIDE Fund, a seed-stage fund investing in UH intellectual property (IP), and XLR8UH, a public-private partnership between UH and Sultan Ventures investing in UH talent (i.e. students, faculty and alumni) and IP. In addition to investments, Sultan Ventures also participates heavily in education and talent development in the community. We offer startup-focused workshops, sponsor events, judge competitions and mentor startup founders (we’ve been involved in every Startup Weekend in Hawaii). We have an amazingly talented team with startup experience and a deep passion for supporting entrepreneurs and startups. We are strong proponents of inclusion in the startup and venture capital sectors, pledging access to capital, hosting the SBA’s InnovateHER competition, promoting more women innovators in the entrepreneurial and STEM sectors, etc. Finally, we helped launch the Startup Paradise initiative (Hawaii’s version of Silicon Valley) along with the State of Hawaii and other startup-focused entities, launching the first Startup Paradise Demo Day, which featured startups from Blue Startups and Elemental Excelerator. What’s the most exciting thing that has happened in Honolulu in the past year? Just this past year, there has been an explosion of national recognition for Startup Paradise efforts: Sultan Ventures was selected as one of 17 entities for Village Capital’s VilCap Communities; XLR8UH was one of 16 programs awarded $1M from the Economic Development Administration and UH; XLR8UH, GVS Transmedia Accelerator and Maui Food Incubation Center were three of roughly 80 entities to receive the Small Business Administration’s Growth Accelerator Fund Competition; Dev League was recognized as one of the top 10 coding boot camps; High Technology Development Corporation was selected to join the national TechHire Program; and Box Jelly is consistently listed as one of the nation’s coolest co-working spaces. What are some of the talent pool challenges in Honolulu? The biggest challenge by far is limited resources. Hawaii has limited land, talent (because of its small population), and capital, particularly in the post-seed stage. We’re the most geographically isolated landmass in the world, resulting in the highest cost of living and doing business in the US. However, innovation is part of Hawaiian culture and history, and we know that innovation can thrive despite limitations. As a result, we have some of the most tenacious and resourceful entrepreneurs in the nation. How does UH play an important role in your ecosystem? UH and the State of Hawaii have both been instrumental in growing our startup ecosystem. With the formation of the UPSIDE Fund in 2010 as well as supporting and investing in XLR8UH (both were one of the first investment programs of their kind in the nation), UH is trailblazing how innovation is commercialized at research institutions. UH gets roughly $500M a year in research funding and is expecting to double that over the coming years through the Hawaii Innovation Initiative. Bottom line is that UH is the fundamental source of innovation in Hawaii. 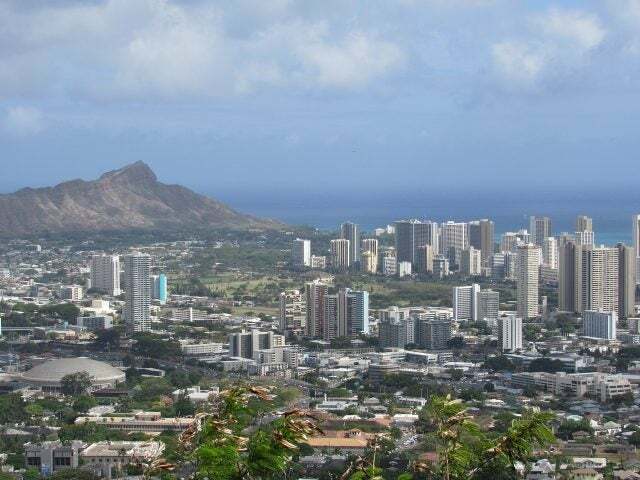 How have public policies enabled startup growth in Hawaii? The state’s efforts towards investing in accelerators and investment funds, UH investments in R&D funds such as the UPSIDE Fund and XLR8UH, and startup events such as the HVCA Annual Deal of the Year awards gala have greatly enabled startup growth and activity in Hawaii. Talk about your involvement in accelerators around Hawaii. Just four or five years ago, there was limited activity. The recession was just ending, and a state startup tax investment credit program was curtailed after receiving mixed reviews. In 2011, recognizing that the entrepreneurial spirit was losing energy, Sultan Ventures, along with Startup Hawaii and Hawaii Strategic Development Corporation, organized an accelerator conference that brought out Steve Case as the keynote speaker and other leaders from accelerators across the country including Launchpad LA, 500 Startups, Global Accelerator Network and more. Since then, Hawaii has launched five accelerator companies, all of which have garnered national recognition. Fast forward to today, roughly 145 startups coming through four of Hawaii’s venture accelerators have generated roughly $250M in Total Capital (defined as revenue generated and funding raised) in just 4 years (see Sultan Ventures’ State of Startup Paradise presentation). What are some unique features of the Hawaiian startup community? We have the most sources of renewable energy (solar, wind, hydro, and geothermal), and some of the highest energy costs in the US, making Hawaii the optimal place for clean energy-focused startups. UH is one of the largest research institutions, world-renowned for astronomy, marine science, and renewable energy. And, because of Hawaii’s isolation, our “closed-looped” ecosystem coupled with our sense of “aloha” provides startups with a close-knit, supportive environment to get immediate market feedback and ability to iterate quickly with minimal competition. Finally, although we’re isolated, our connection to the eastern and western markets provides opportunity for global promotion and recognition. What are some of the startups to watch coming out of Honolulu? Since we mentioned energy, look out for Ibis Networks, which provides plug load management at the socket level. A UH spin-out that is gaining ground is Kineticor, which provides motion stabilization for MR images, resulting in optimized image quality and an estimated $1 billion in annual healthcare savings. Volta is the nation’s largest free electric car charging network and is accelerating rapidly on the U.S. mainland. Hobnob is creating a splash with its stunning mobile first invites. Finally, I’m enthusiastic about one of the earlier stage startups in our latest XLR8UH cohort – Radial3D, which is developing VR technologies for education. Emma Peck is a policy analyst at Engine, a nonprofit that supports the growth of technology entrepreneurship through economic research, policy analysis and advocacy on local and national issues.